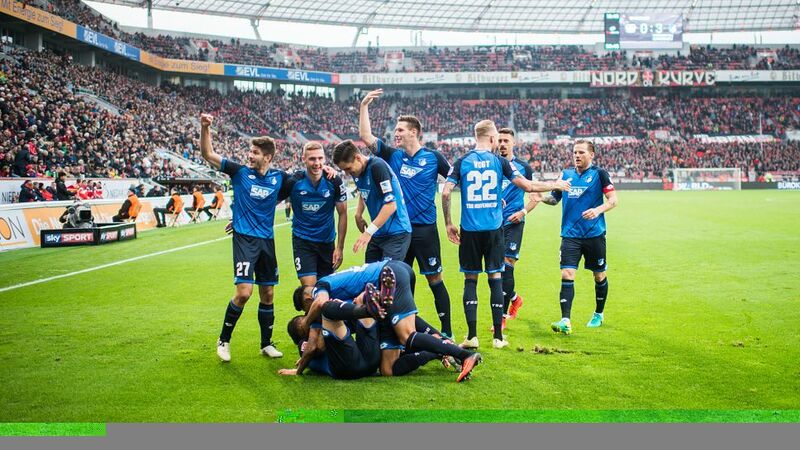 Hoffenheim players have had plenty to celebrate recently as they maintain their unbeaten start to the season. After a fourth straight victory, TSG 1899 Hoffenheim are firmly established in the chasing pack at the top of the Bundesliga. What is more, still unbeaten this season, Julian Nagelsmann’s side dominated in every area during their impressive 3-0 win at Bayer 04 Leverkusen. Hoffenheim put a miserable record to bed in emphatic style on a memorable afternoon in Leverkusen. In 16 previous meetings in the Bundesliga, Hoffenheim had left empty-handed on no fewer than 13 occasions. Not even against record champions FC Bayern München had they suffered so many defeats. But this was one of those days when everything went right. Opponents Leverkusen had to play with ten men from as early as the sixth minute after former Hoffenheim striker Kevin Volland was sent off for a professional foul. From the moment Kerem Demirbay put the visitors ahead a short while later, the result was never going to be in doubt. "The cup game in Köln will be difficult and then we face our first litmus test against a very strong Hertha side," said Wagner. "If we get through the games against Hertha and Bayern then we will be able to tell more about the state of the team." In current form, however, there are no signs that the wheels are going to come off Hoffenheim's charge any time soon.